We won! 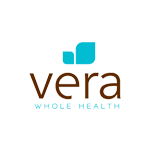 After a spectacular evening at this year’s Leaders in Health Care Awards, Seattle Business magazine announced Vera Whole Health as the event’s gold winner as Washington’s Health Care Delivery Company of the Year. For us, this award helps validate years of going against the grain, offering a model that addresses the whole person and the environment in which that person lives and works. We help organizations break the vicious cycle of rising costs and cutting benefits year after year. We bet on a healthcare approach that puts the patient first, with robust primary care services, accessible on-site clinics, highly coordinated referral networks, and wellness coaching. Where others reduce costs by cutting services, we do the opposite, believing that the only sustainable way to lower costs is to focus on improving employee health. Now, that bet is paying off. Organizations like the City of Kirkland are achieving proven health outcomes with Vera’s managed care model. And more and more employers are looking for our alternative because it offers their employees increased benefits without encumbering them with added costs. "Vera is proud to be a leader in changing healthcare," said Ryan Schmid, president and CEO of Vera Whole Health. "Primary care is making a comeback. Instead of being a loss leader for hospitals, Vera is showing that primary care, when focused on a patient’s whole health and a disciplined approach to navigating the rest of the delivery system can save money, improve health, and create incredible jobs for health care workers. It’s a win, win, win." This unique approach and outcomes for our clients led us to become the first direct-to-employer on-site clinic provider in the United States to earn a Certificate of Validation by the Care Innovations™ Validation Institute. We couldn’t be more honored to win this year’s award. We’d like to extend our thanks to Seattle Business magazine for a wonderful evening and a special thank-you to all the other nominees. Transforming health care is easier with many hands, and their work is crucial to achieve positive change.